It never ceases to amaze me what people can market. 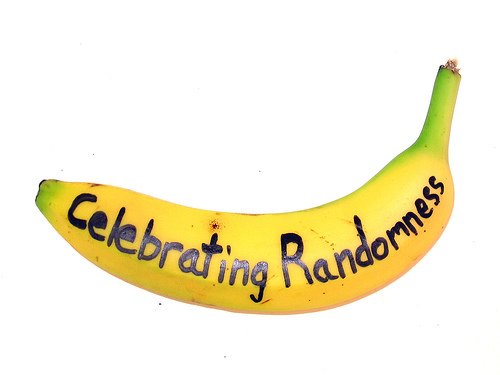 Imagine my delight when I ran across BananaName.com, a site that will post your name on a banana for a modest price. Anyone who knows me, knows bananas amuse me. Caution: this sped-up version of Raffi's Bananaphone will get stuck in your head! I cannot say exactly what started it, but this banana post made me laugh literally out loud for a good minute. Nice work!